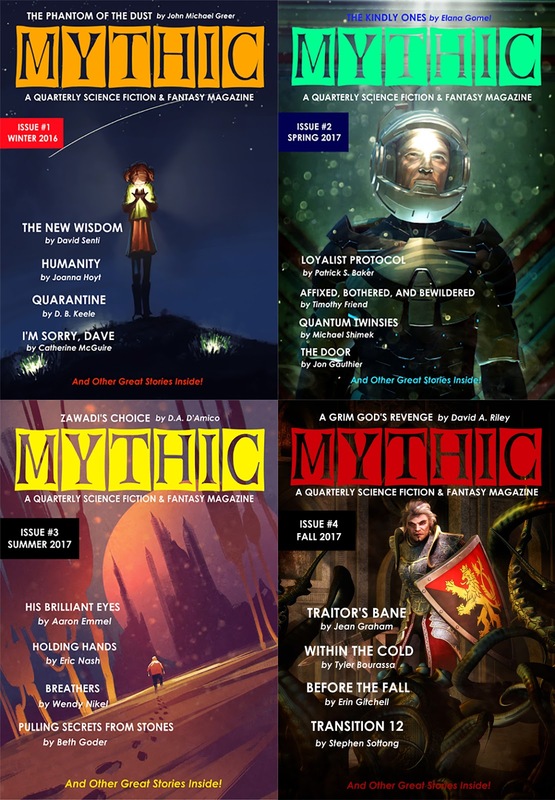 I wanted to let everyone know that we are now offering a discount bundle for the first four issues of MYTHIC: A Quarterly Science Fiction & Fantasy Magazine. We are so grateful to those who have supported us and encourage us. We want to provide a way for new readers to discover all the great fiction we offer. Now you can have the first year's worth of issues at a reasonable price. 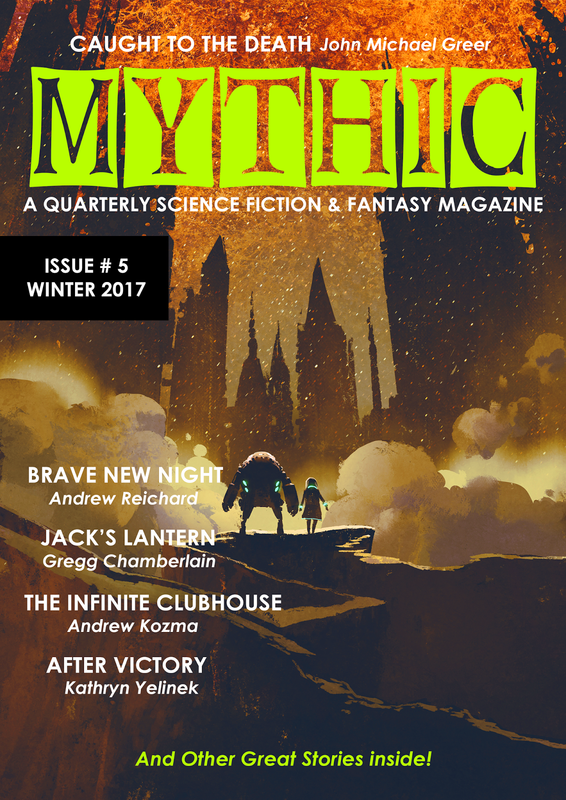 MYTHIC: YEAR ONE is available for only $30 in the U.S. and $45 internationally. Shipping is included in the price for each. 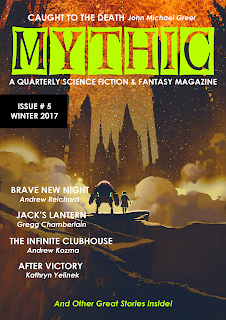 With a whole year of issues behind us now, I am starting a second year of MYTHIC: A Quarterly Science Fiction & Fantasy Magazine. I'm happy to reveal the cover for our fifth issue. My goal is to keep doing what I have been doing: bring you a great selection of short fiction every quarter. I hope to keep MYTHIC alive and well for a long time to come. I still need your help, dear readers. Subscribe if you haven't yet. Get a gift subscription for someone else for the holidays. Buy your individual issues from this site or from your favorite online retailers. Thanks again.